The dawn of the New Year is off to a prosperous start with Hameedia, adding to the festive cheer with exclusive offers, discounts on credit cards and a new Avurudhu collection on offer. The leading men’s wear brand that is synonymous with style and quality retailing a full range of clothing, footwear and accessories has an exciting array of deals this Avurudhu season. During this month of April 2019, the Scratch and Win Promotion gives customers who spend over Rs. 7,500, a scratch card, making them eligible to win exciting gifts. “Hameedia always gears up excitedly for the Avurudhu season because it is a special time of the year when families get together and shop for gifts to share with each other. In this spirit we felt it necessary that we introduce this fun promotion to ensure everyone’s a winner,” said Fouzul Hameed, Managing Director of Hameedia. Exclusive bank card offers are also available during the season at all Hameedia showrooms island wide. 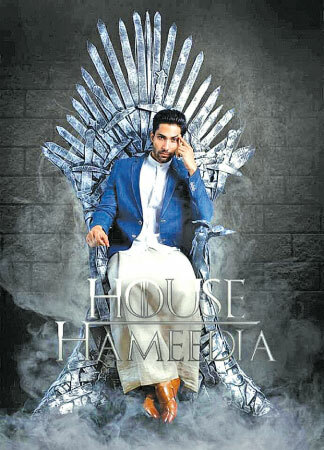 Established in 1949, Hameedia offers the best tailor-made, bespoke, ready-made suits, formal, semi-formal, casual, leather goods, accessories and quality Italian, European and Asian fabrics, kurthas, national suits with sarong, linen suits and tuxedos for every type of person and occasion. Hameedia is a Sri Lankan home grown brand committed to the highest international standards using only the finest fabrics and embellishments from around the world. Additional details on the offers and promotions are available on the Official Hameedia Facebook page.